The Jeld Wen Builders Aluminum window is an entry level aluminum frame that comes in a single hung, rolling or sliding option, as well as several fixed and geometric shapes. The window is sold primarily in the southwest United States, including southern California, the lower half of Nevada, New Mexico, Arizona and in certain select west Texas areas. The regional availability of the window is based on the idea that aluminum is quite good for a very hot climate, but does not get the sort of energy efficiency numbers that most homeowners are going to want to achieve. See our ratings below to see what I mean. The Jeld Wen Builders Aluminum series is available in two exterior colors, as well as two interior colors. Consumers can opt for a clear, low E, or upgraded low E366 glass. The builders aluminum window is not a very good buy and in my opinion should be reserved for rentals, not primary residences. Jeld Wen Builders Aluminum series will run $30 to $40 per square foot for the window itself. The Builders aluminum window is going to be less than Milgard Aluminum windows cost and CWS windows prices. 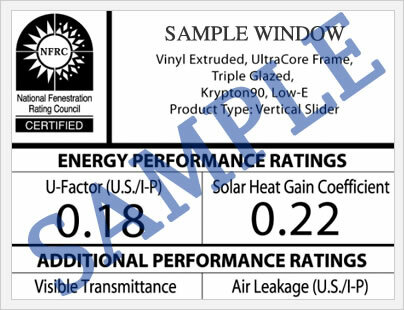 The Jeld Wen builders aluminum A200 single hung window, with the low E glass, grids and argon fills will achieve a U factor of .53, and SHGC rating of approximately .32 and VT rating of approximately .54. These numbers are poor in comparison to fiberglass, vinyl, and even wood windows. In general, aluminum windows perform very poorly in terms of performance. The only reason homeowners would use them is for their incredible strength in very hot climates. The Jeld Wen builders aluminum window comes with a limited 10 year warranty on the frame, sill and all additional components and hardware. All in all, not very impressive. 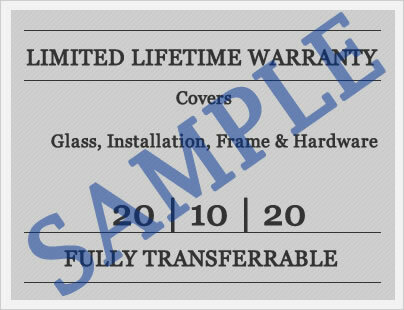 This warranty period for this window is significantly less then either Jeld Wen wood windows or their vinyl windows, the latter of which typically carry a limited lifetime warranty. Do you have a Jeld Wen Builders Aluminum window review to share with the rest of the online community? If so, please let us know and we will post it here. Questions on the Builders Aluminum series or any Jeld Wen window? Our site editors are always here to answer any questions you may have on new construction or replacement windows.